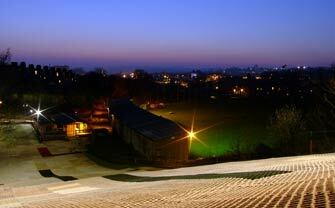 A petition has been launched to try to ensure the future of the dry ski slope operated by Exeter Ski Club. The ski centre, which is one of the world’s longest established, celebrating 50 years in operation last year, was threatened with closure when the leisure centre next to it was closed by the council after the building was damaged by severe weather. However, as we reported at the time, the ski slope was ultimately allowed to keep operating. Now though the council plans to sell off the site where the closed leisure centre and open ski slope are located for housing, potentially raising £9m, raising fears for the future of the slope. The good news is that in what Exeter Ski Club hope is a significant breakthrough, the Council’s Scrutiny Committee agreed on 31st January to amend the recommendation, and to remove the ski slope land from the sale, recognising the huge value of this community-run asset. However the Executive of the Council meets on 12th February and the full council on 26th February, and the Ski Club are still concerned that they may not honour the Committee’s recommendation because it is non-binding. “We remain in jeopardy and the support of all snowsports enthusiasts, everywhere, is vital to our future,” a statement from the Club, which has taught more than 100,000 people top ski or board over the past decade says. They have launched an online petition and are asking anyone who wants to help to sign it (please click here). The Club is focussed on accessibility for all, with a successful race team and a thriving Adaptive section including medallists at the Special Olympics. “Our disabled skiers gain huge physical and mental wellbeing from skiing- for many, it is the only physical activity they can enjoy. The nearest equivalent Adaptive facility is over 100 miles away. 40 to 50 young people attend the kids club each week, its somewhere you can come and enjoy an outdoor activity with your whole family, grandparents to 4 year olds,” the statement from the Club continues.